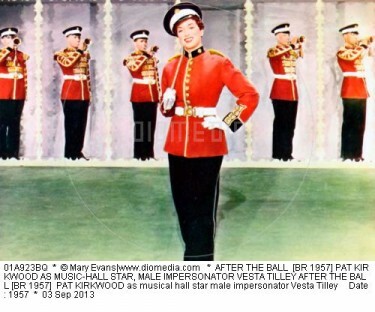 I don’t seem to remember this film at all but After the Ball is a 1957 British biographical film directed by Compton Bennett. 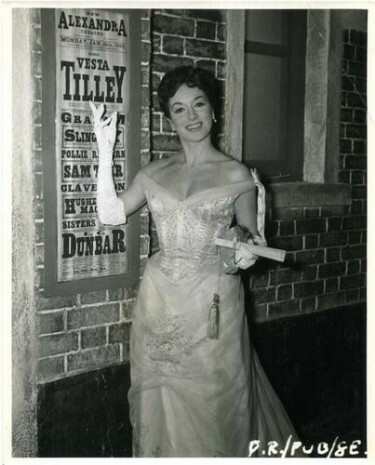 It portrayed the life of the stage performer Vesta Tilley. 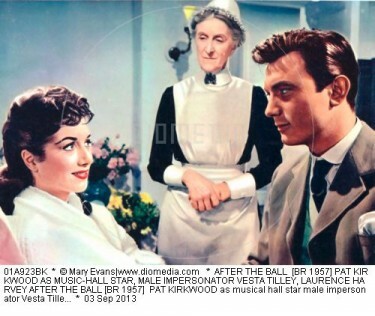 It stars Pat Kirkwood, Laurence Harvey. 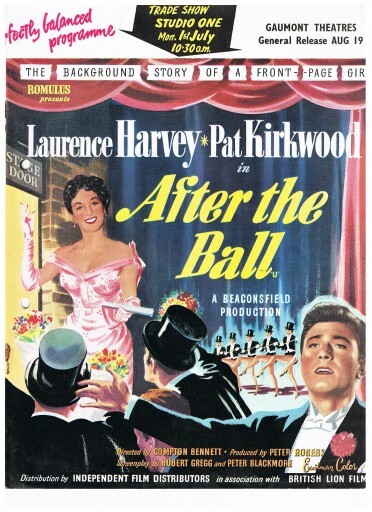 ‘After the Ball’ was filmed on a quite a low budget and was made by British Lion Films. The most interesting scenes are Tilley’s interactions with various British and American theatrical figures. In New York City, she works for impresarios Tony Pastor and Oscar Hammerstein: the latter is not the lyricist, but his grandfather. This film charts the life and loves of a music-hall singer. Vesta Tilley (Pat Kirkwood) is the daughter of a music-hall Chairman who watches shows from the wings with great enthusiasm. One day her father finds her dressed as a boy and singing to an audience consisting of dolls. Her act, he believes, is good enough to be performed in front of a live audience. As time goes on, word of her spreads. 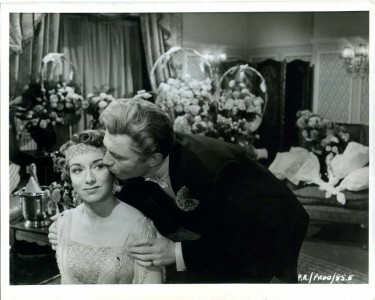 She was viewed as the first male impersonator, her fame leads her into marriage to a nobleman. 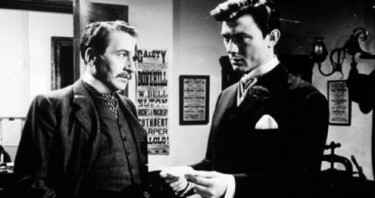 Above: Pat Kirkwood in a scene from After The Ball. I did notice also the Hubert Gregg had written the screenplay for this film starring his wife. He was such a talented person. I can’t think of anyone else who was so good at so many aspects of theatre and film. He was just phenomenal !!! This film was made just before his greatest role as Joe Lampton in Room at the Top. His career was cut short by illness and he died at the young age of 45. His only child – his daughter who was only a small toddler when he died – lived to an even younger age and died aged 35. She is buried with her father in the cemetery at Santa Barbara, California.